Improvising emails for project management is a great productivity killer however Prowork realizes that some of your team members might still be used to that way of working. That’s why they have introduced Email Connect to provide a seamless way to start using Prowork for project management and collaboration. 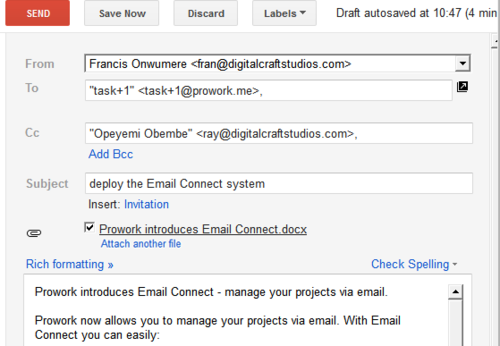 To upload a file to the project, send it as an email attachment.